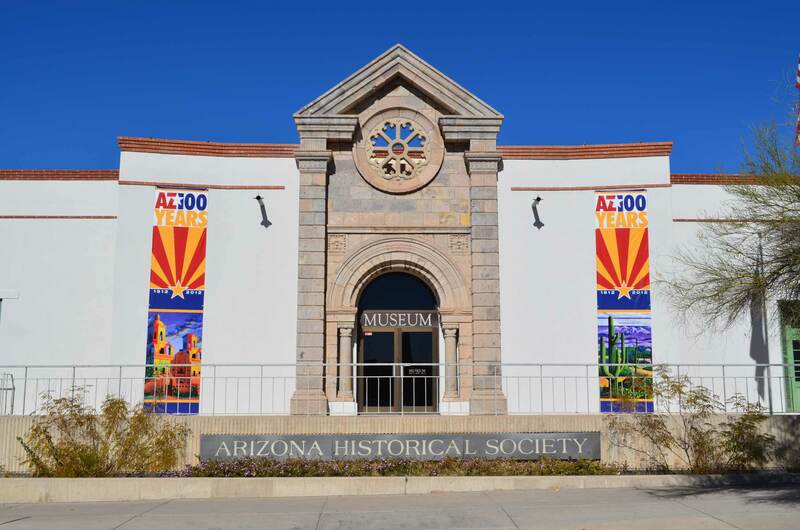 Daniel Buckley’s documentary on the Arizona Centennial Quilt Project’s “100 Years, 100 Quilts” exhibit is finished and has been turned over for DVD duplication. 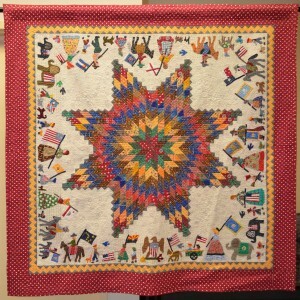 The documentary “100 Years, 100 Quilts” tells the story of the Arizona centennial quilt project from the perspective of those who hatched the idea and those they partnered with to make it happen, as well as the quilters whose work made the show so extraordinary. It’s as colorful a tale as it is a remarkable visual experience, and a show that speaks volumes about the state of Arizona 100 years after its birth. 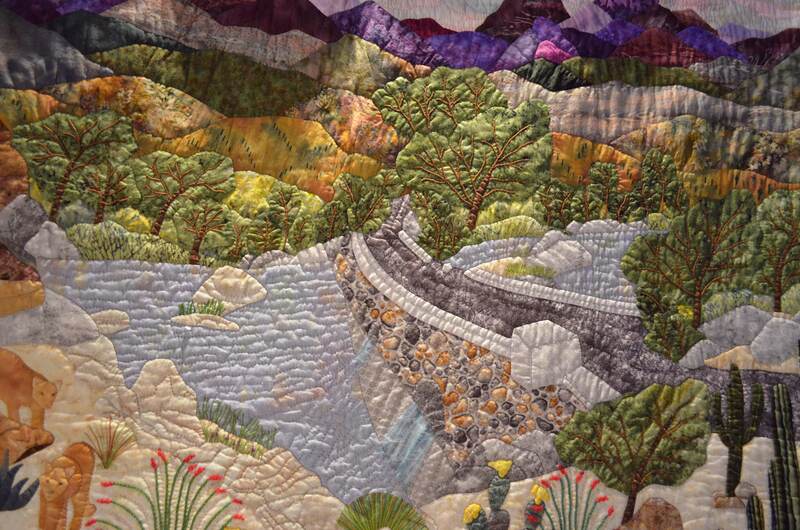 Detail of Sandy Lambert's "Abundance - Sabino Canyon "
Quilters from around the state were invited to contribute quilts of their own original design, reflecting some aspect of Arizona, for the show which opens February 18, 2012 at the Arizona History Museum, 949 E. 2nd Street, Tucson, Arizona. Arizona celebrates the 100th anniversary of its statehood on February 14, 2012. A one-minute teaser for the show can be viewed by clicking HERE. 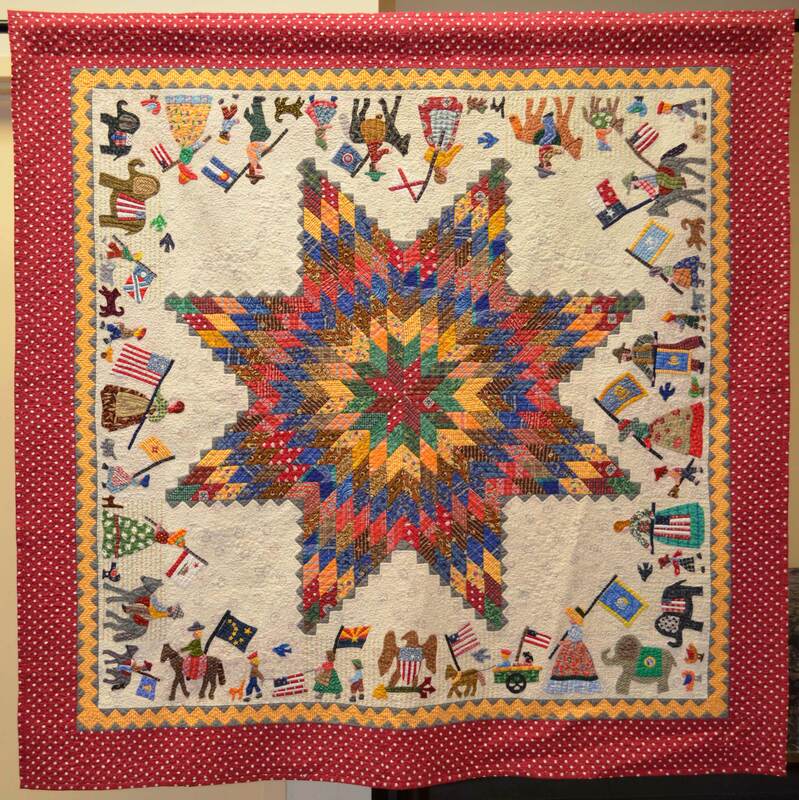 While the vast majority of works in the show are art quilts, representational of the range of cultures, physical environments and historical moments of the state’s first 100 years, there are also more traditional quilts as well. Everything from fabrics with photographs digitally printed on them to extraordinarily detailed hand quilt work will be on display. Subject matter ranges from the contributions of Arizona’s women to representations of all manner of Arizona plants and creatures, the state’s historic and prehistoric sites, its native peoples and the many cultures that have converged here, and even scientific depictions of the heavens above as studied in Arizona’s numerous astronomical observatories. Janine Holzman's "4th of July Parade"
It is a unique perspective of what Arizona is and has been – 100 stories told in fabric. 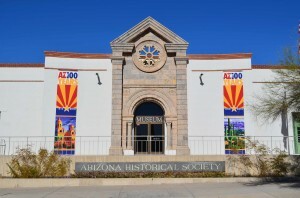 Buckley shot the exhibition from the time in which quilts started arriving in the Tucson and Phoenix offices of the Arizona Historical Society, as well as the Sharlot Hall Museum in Prescott. 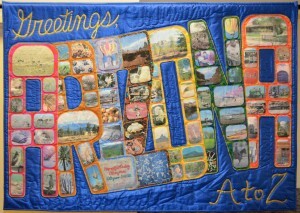 He interviewed members of the Arizona Centennial Quilt Project, administration from the Arizona Historical Society, and a group of quilters who contributed to the show. He documented everything from meetings to the actual hanging of the exhibit for the film, and shot stills of all of the quilts in the exhibit. Buckley’s still images are featured in a book from the show. Copies of Buckley’s documentary and the book from the show will be available for sale at the Arizona History Museum in Tucson from the day of the show forward. Additional outlets and prices will be announced as the opening approaches. Nancy Arseneault's "Mariachi de los Muertos "
In addition to the main documentary, Buckley is creating 13 5-minute artist portraits of a select group of quilters from the show. These will be featured, one per month, through the centennial year on the Arizona Historical Society’s website. ~ by Daniel Buckley on January 30, 2012. I am excited to see the finished exhibit. Your entries have certainly peaked my interest. 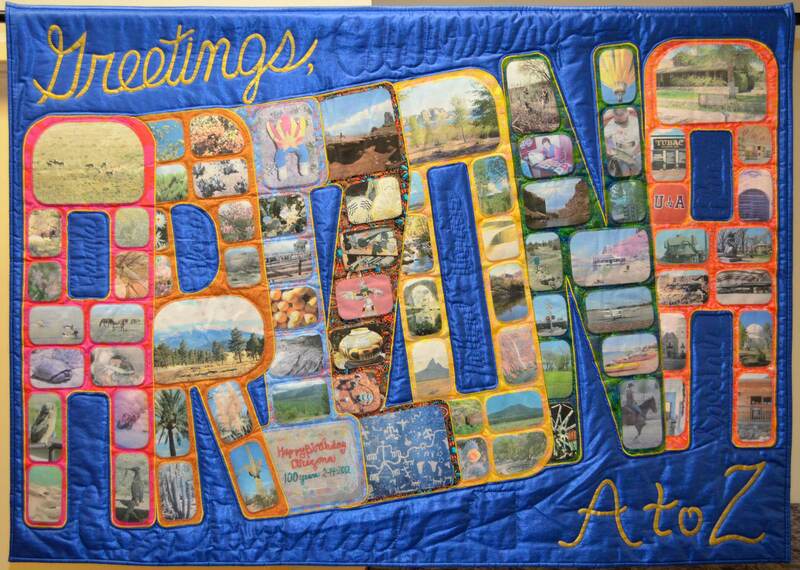 I know this was lots of hard work and I thank you for your efforts to bring these quilts to a larger audience. I’m working on the five minute segment on you as we speak. Will let you know when it’s done and posted. I wish I could be in Tucson for the Cenntenial and other quilts. My long time friend, Wanda Seale has given so much of her time and talents to it these past two years. I remember when she came to Seattle to select the fabric and how exciting that was. She is extraordinarily gifted and I am honored to be her friend. Wanda is a gem. She and so many others worked like crazy to make this happen. What they have achieved is enormous. Can’t wait for the opening…thanks for keeping us posted, Dan, and for highlighting some great local talent. Gracias Mary! Just saw your submission to the Red show. Looks great!